This is the perfect time of year to spoil your femme self, so I encourage you to do something special. I’d love to know what you’re asking for, so please share with me in the comments below. Read on for my Girly Gift Guide, where I’ve rounded up my top gifts for spoiling your inner (and outer) woman! What could be more ladylike than these gorgeous, vintage-inspired stockings? Best of all, they’re budget friendly and come in sizes S-4X. This ingenious kit contains samples of 15 different perfumes, plus a certificate to redeem for a full size bottle of your favorite fragrance. There’s no better source for style and beauty inspiration than Vogue magazine. Enjoy it all year long with a yearly subscription. Your phone is your most used accessory, so why not dress it up? 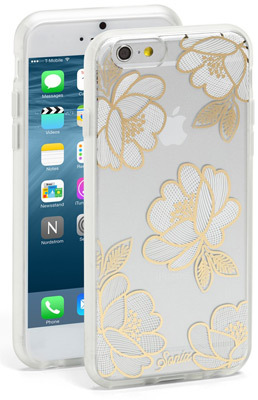 The Florette case is flirty and feminine. Good makeup brushes are one of the best investments you can make in your appearance. 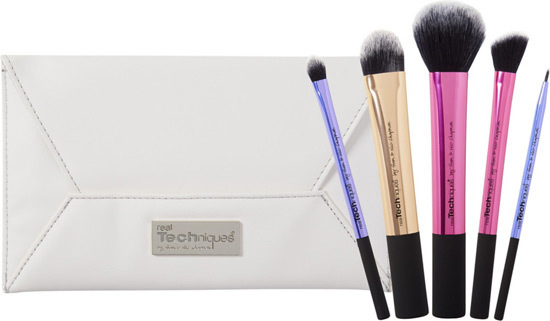 This cute set contains 5 high quality makeup brushes and a clutch to carry them in. 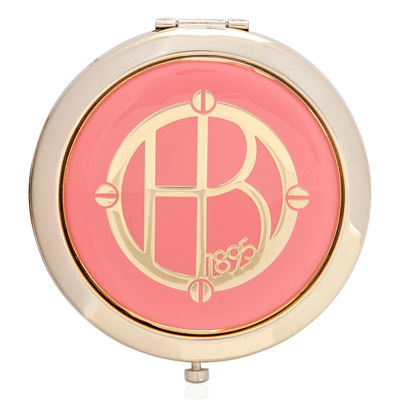 You’ll look so glamorous pulling this compact out of your purse. It’s the perfect accessory for a quick makeup touchup. Painted toenails are a great way to indulge your feminine side in secret. 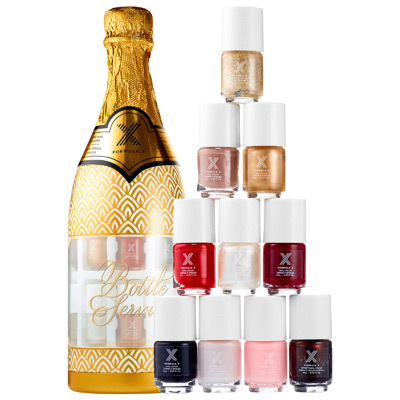 This champagne-inspired set contains 10 mini nail polishes to play with. I’d love to know, so please share in the comments below! to always be aware of my inner Femininity Guide, and let her subconsciously raise my estrogen level, and lower my testosterone level to become a woman. 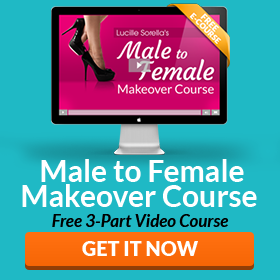 I wish my breasts would start growing so I had no choice but to complete the Feminine transformation program, and become a Woman ! I could enjoy those Secrets in Lace, Lace-Top Thigh High, 20 denier Stockings.